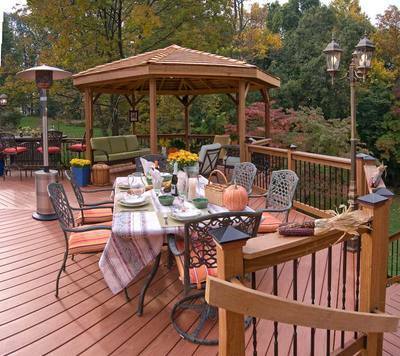 This deck in Irmo, SC, overlooks a serene hardscape patio with outdoor fireplace, the perfect spot for enjoying those crisp autumn evenings! 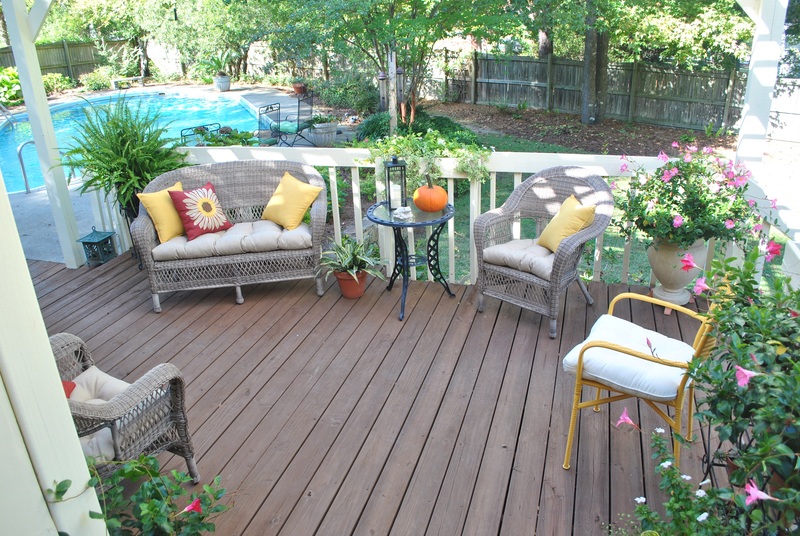 The mild temperatures the arrival of autumn brings to the Columbia, SC, region mean more opportunities for outdoor living. Lower humidity, cooler breezes and a palette of Carolina color emerging in the trees makes residents want to spend the majority of their recreational time outdoors with friends and family. 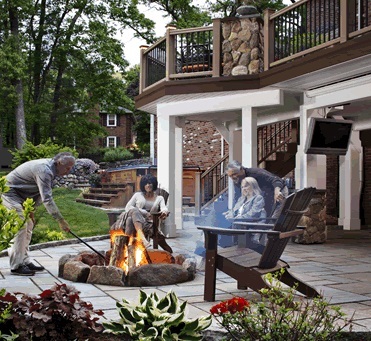 Having the luxury of an outdoor living space to add function and ambiance to the time you spend outdoors can make those special times even more worthwhile. Here in our area there is a host of outdoor activities going on. Archadeck of Central SC gives you a peek into the backyard games that people are playing in your neck of the woods and how our outdoor structures are helping to turn events into memories! 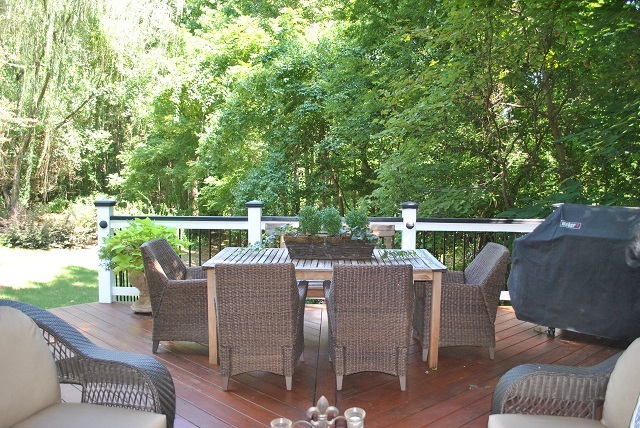 This Columbia, SC, deck and screened porch combination would make the perfect spot to entertain during the big game. What better way to hearken the arrival of football season than an outdoor room worthy of tailgating from the comfort of your own backyard! Our porch and patio designs can be finished with full function outdoor gourmet kitchens that allow you to prepare, serve and eat all your halftime favorites without having to venture into your home’s interior kitchen. We can even design your outdoor room with space set aside to mount a flat screen TV so you and your “team” will never miss a minute of the action! If you feel inclined to play a little football among family and friends, the backyard is just a few steps away, so dirt and grime is kept out of the home during all the fun. 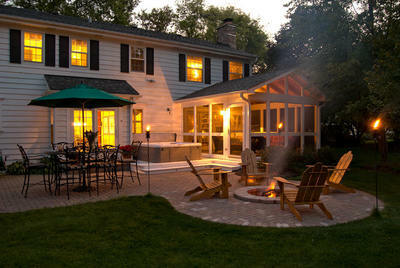 A deck or patio makes the perfect place to host a backyard oyster roast. I cannot think of a better way to have more fun making a mess than hosting your own backyard oyster roast. 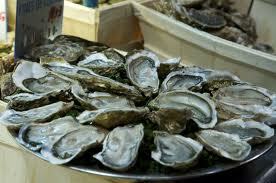 Cooler temperatures may mean it is time to break out the sweaters, but they also mean oysters are in season! This is a great time for a cool- weather outdoor party around the fire pit, and it’s always fun to shuck oysters on the back deck. Hosting your oyster roast outdoors means more elbow room for family and friends and easy cleanup at the end of the evening for the host. In a recent post, Archadeck of Central SC outlined how to host an oyster roast from how to set up your grill, to the best place to buy oysters here in the Columbia area. 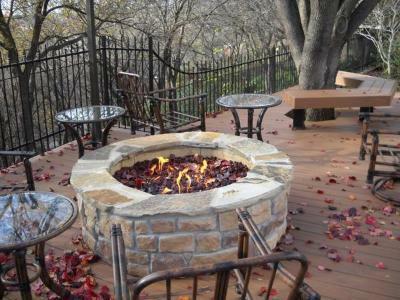 This cozy outdoor living space features a custom fire pit– perfect for making s’mores. Imagine the crackle of the fire, the conversation, and the camaraderie as you gather around your very own outdoor fireplace or fire pit to spend an evening making s’mores with family and friends. There are many recipes available that feature a modern twist and varied ingredients for this classic recipe, such as Chocolate Chip Cookie S’mores and Black Forest S’mores. I feel the original is still the best: roasting a marshmallow over the fire and nestling it between two graham crackers and a wedge of chocolate! This age-old tradition is a sweet treat that gives us so much more than just a snack. It is an opportunity to spend time with our loved ones making memories that will last a lifetime. 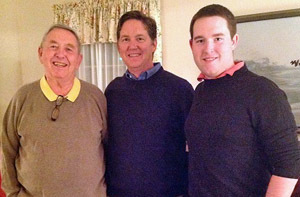 If you have a large family, like mine, outdoor celebrations often mean breaking out the corn hole boards or horseshoes for a friendly game of skill and fun. Both these outdoor games are very popular in the Columbia region. Corn hole is a lawn game in which players take turns throwing bags of corn at a raised platform with a hole in the far end. The game of horseshoe involves the same concept except you throw a horse shoe with the goal of landing the horse shoe around a set target. Both games are much fun but can get tiresome when the opposing team has nowhere to sit and watch the game as it unfolds. 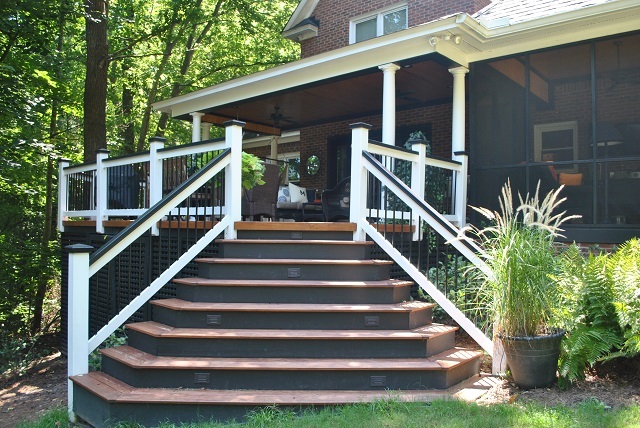 Having the luxury of an outdoor living space such as a deck, patio or porch nearby can make backyard game night a joy for players and spectators alike–it will also give you a place to decisively plan a winning strategy when it is your turn. If you count yourself among the many that have a large gathering during the Thanksgiving holidays, often times your home’s interior can become too cramped for comfort. 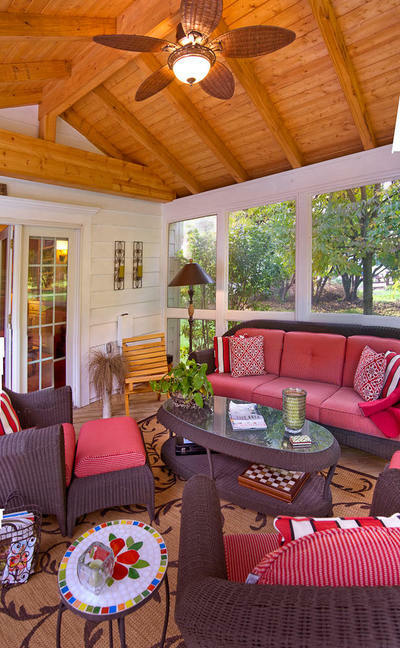 Archadeck of Central SC can help you maximize your comfort during holiday gatherings with the addition of a versatile four-season room or sunroom. These all- season rooms will allow more livable interior and exterior space opportunities. Your holiday guests will have more room to spread out and get comfortable, and you will gain peace of mind. Thanksgiving is right around the corner and now is the time to think about adding an outdoor room in time for the holiday season ahead. You can see more of our outdoor spaces destined to become your favorite gathering spot for friends and family by visiting our deck photo gallery, our 3 and 4 season room photo gallery and our patio and hardscape photo gallery located on our website today! 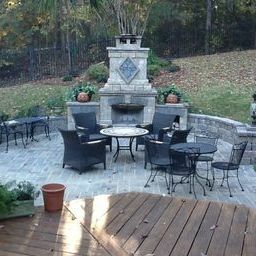 This entry was posted in Uncategorized and tagged Archadeck of Central SC, Archadeck of Central South Carolina, Central SC combination outdoor living spaces, Central SC deck and porch outdoor living combinations, Central SC deck builder, Central SC outdoor rooms, Central SC porch builder, Columbia SC four season room builder, Columbia SC hardscape and patio outdoor living spaces, Columbia SC outdoor fireplaces and fire pits, Columbia SC outdoor kitchens, Columbia SC outdoor living, Columbia SC Porch Builder, Columbia SC screened porches, Columbia SC Sunroom Builder, Columbia SC sunrooms, Columbia SC three season rooms, Fireplaces, How to host a backyard oyster roast in Columbia SC, How to host an oyster roast, How to make the most our of your Columbia SC backyard this fall on September 25, 2013 by archadeckofcentralsc. 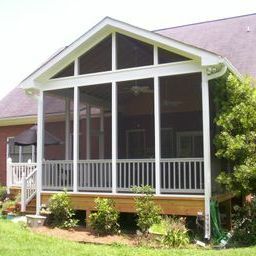 Maybe you want a screened porch built onto your house, opening out to a big deck, with stairs leading down to a patio area, and a new paved walkway to get you there. The more you think about it, the bigger your project becomes. Can you say “outdoor kitchen”? Or “fireplace”? 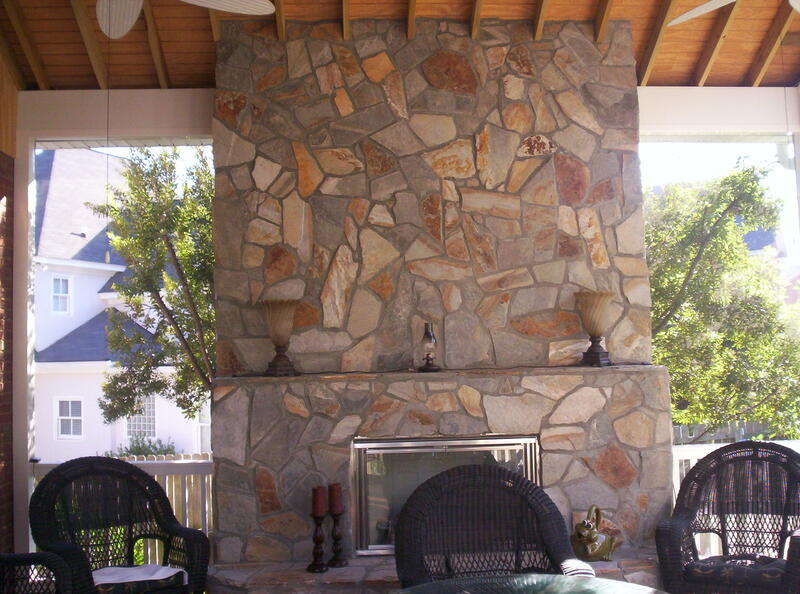 This entry was posted in Deck design, Starting a project and tagged Fireplaces, Patios on January 26, 2013 by archadeckofcentralsc.